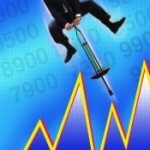 The markets eventually bottomed in mid-February and began a long, slow recovery, turning positive by the end of March. However, the going wasn’t easy. Global stock markets suffered a setback with the Brexit vote in the U.K. and endured another hard bump right after the elections. In the end, the Dow finished 2016 at 19,762.60, a return of 13.4% for the year. International stocks of developed countries did not follow suit, finishing the year down 1.88%. What’s going to happen in 2017? It’s clear that President-Elect Trump wants to accelerate America’s economic growth, but his policy prescription has not always been clear. Some traders expect the economy to respond positively with lower taxes and deregulatory policies. There are many unknowns around the globe. Growth in the U.S. since the financial crisis of 2008 has not exactly been robust; the U.S. GDP has averaged just 2.1% yearly increases. Still, the unemployment rate has slowly dropped from a post-recession peak of 10% to less than 5% currently. China’s economic growth has stalled for the second consecutive year, and a looming banking crisis in Italy could force the country to leave the Eurozone. Markets always have a way of surprising us. Trying to time the market and get out in anticipation of a downturn is a loser’s game. 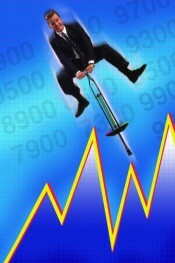 The history of the markets has been a general upward trend that benefits long-term investors. As always, my advice is to broadly diversify your portfolio, periodically rebalance, and hang on for the long term.